Another possible interpretation is 'sedge of the hornless cow' as maol is feminine in this name. 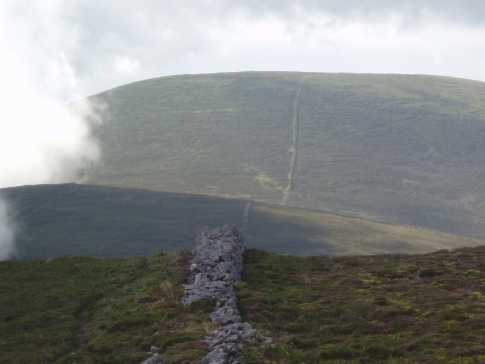 However, note that this peak is in the townland of Meoul, which actually suggests Ir. meall, 'lump', rather than maol. Knockmeal is the 395th highest place in Ireland.